Motorists investing in dash cams due to ‘crash-for-cash’ fears may not actually be protecting themselves and could lead to a reduction in the number of visible traffic patrols, as officers spend more time analysing amateur footage, says IAM RoadSmart, as it calls for official dash cam guidance on how police forces will use such footage. According to a report by the BBC, all four police forces in Wales are to start using dashcam footage recorded by the public to investigate driving offences following a successful pilot scheme by North Wales Police. The report follows recent research by Aviva, which found that almost one in five (17%) of drivers currently use a dashcam, while a further 30% of motorists plan to use one in the near future – of the latter, 84% intend to invest in the technology within the next year. Yet, Neil Greig, IAM RoadSmart director of policy and research, said there is no consistency over which police forces would accept dash cam footage, with the situation varying widely across the country and some police forces’ stance on the issue unknown. 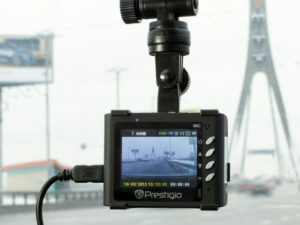 He added that dash cam footage often does not show the full picture of a crash – often being too short, poor quality, failing to show how a crash developed or only showing one very restricted angle. In response, IAM RoadSmart is calling for consistent national guidelines on the standard of dash cam footage required for prosecutions, what the police will do with it and how to submit it in the correct way. Greig also warned that the time taken to evaluate and follow up the footage could impact on roads policing and said that dash cams must not become a replacement for fully trained officer undertaking high profile roads policing. He added: “A dash cam isn’t the be-all and end-all. People need to realise they must improve their own standards of driving as well as expecting others to do the same.